Bravo Imposters at SXSW - Ravenswood Studio, Inc.
Luci Creative designed three ultra-realistic sets for the SXSW conference. 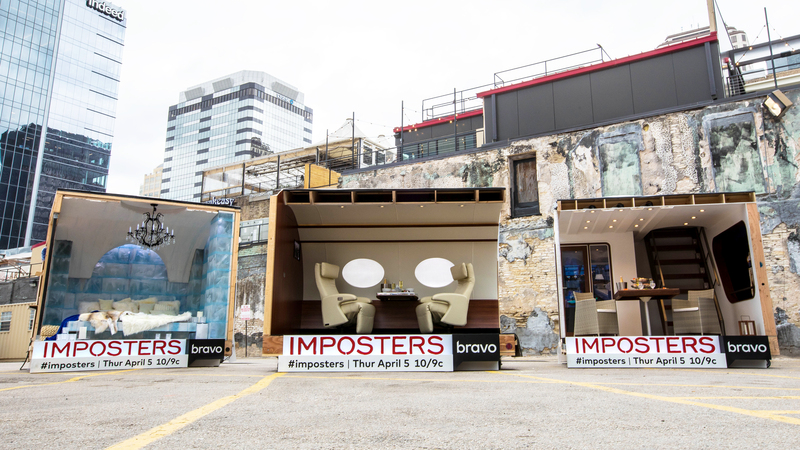 The sets were part of a marketing activation planned by the agency 360i for the premier of Bravo’s Imposters season 2. 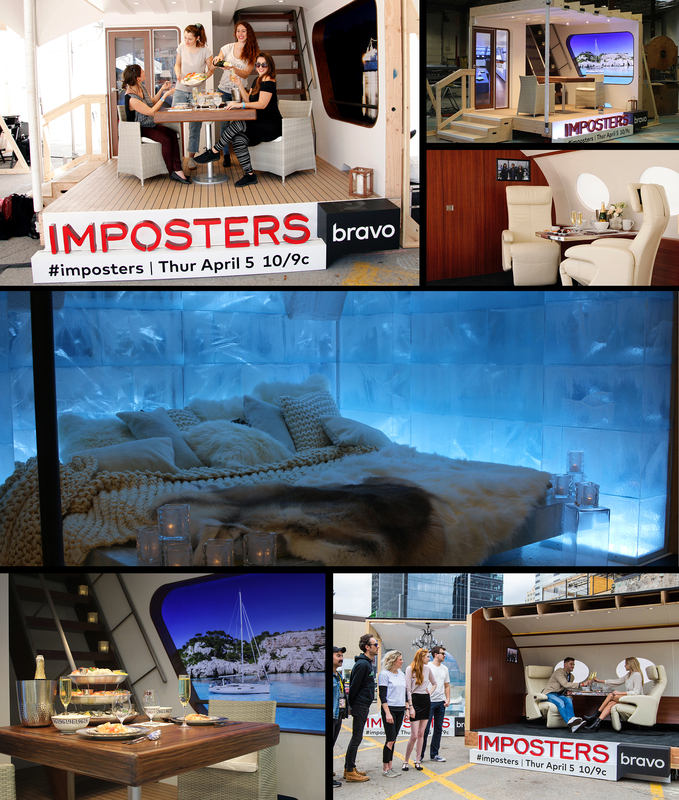 Ravenswood Studio built the interiors of a private jet, a yacht and a room in a Russian ice hotel. We used all our skills from creating world class opera and theatre sets and included every luxurious detail. Then visitors could pose for a series of photographs to be shared on Instagram to “Con” their followers into believing their new reality. Great fun and a successful launch of Imposters – season 2.